I had lunch last week with Mariko and Susan and was fortunate enough to receive a copy of Susan's new book, Bead Simple. There are 150 projects, with something for all skill levels. I especially love all the drop pendant projects. 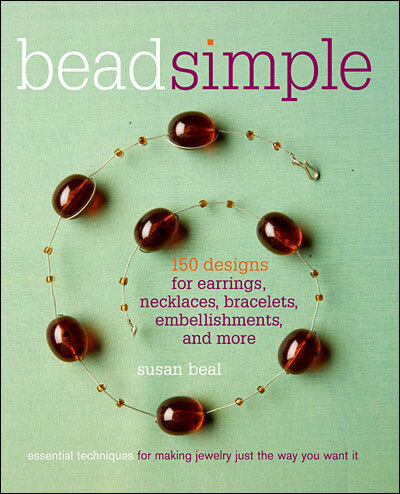 If you're local, go check out the Bead Simple event and demo at Powell's (W. Burnside), upstairs in the Basil Hayward Gallery on Monday, April 7 at 7:30 p.m. Congratulations Susan!